Join us at the 2019 Teal Trek Walk! 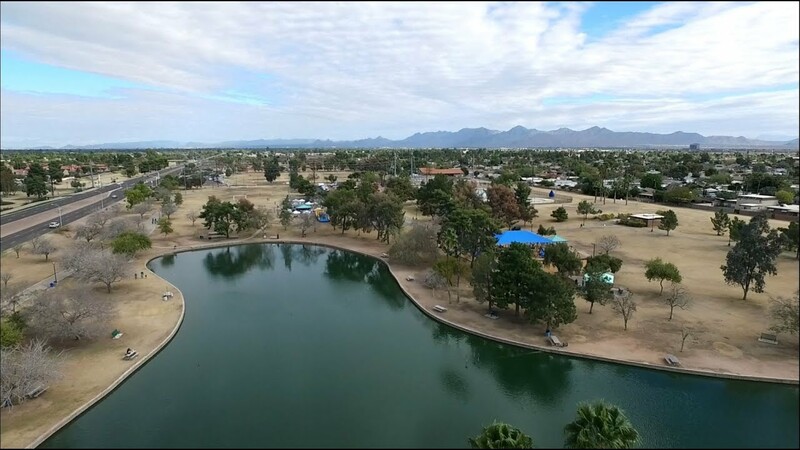 March 10th 2019 at Eldorado Park in Scottsdale. Subscribe here to receive email notifications containing News and Updates from the OCAZ. Our own board of directors member, LeAnne Prenovost was recently featured on “Positively Arizona” on Your PHX CW6 as a featured Superhero Among Us for her work and efforts with Ovarian Cancer awareness and support. September, Ovarian Cancer Awareness month may be over but we continue to spread awareness every single day of the year! See how the Ovarian Cancer Alliance of Arizona is helping spread Ovarian Cancer awareness in Arizona. OCAZ and Save Her Life, donated a basket to the Arizona State Nurses Association’s Biennial Convention held this last week in Scottsdale. Over 200 nurses attended and were exposed to Ovarian Cancer Awareness with this donated basket and literature related to ovarian cancer signs and symptoms. Awareness of ovarian cancer is key to not only the public but by health care professionals. Nurses constitute the largest group of all health care professionals in the United States, at over 4 million nurses nationwide. As the front line to health care, it is important that nurses know the signs and symptoms of ovarian cancer so as to best advocate for patients and provide early detection. OCAZ is proud to partner with professional nursing organizations to spread awareness and save lives! Reflecting on September – National Ovarian Cancer Awareness Month. Although ovarian cancer survivors are aware of the disease every month, September is when we have a national stage from which to speak out about the need to conquer this insidious disease. It is a time to decide what we as a community can do to improve the trajectory of the life of survivors. It is a time to celebrate the women who, like most of us, got a shock wave in an otherwise normal life when we were told, “you have ovarian cancer.” And were forever changed by it. As survivors, we bonded with other women who share the diagnosis, drawn together as “survivor sisters” who share the courage and the fear that comes of this journey. We said goodbye to too many, too long before one should, stunned by the loss that we hold too dear, too deep because in the dark of night we know, “it could have been me.” And yet, we keep on. But we are here. Now. We stand united, a human wall of strength, as we comfort and encourage the new ones and rejoice at the veterans. We galvanize our spirits with the resolve to change the future for all women, any women. We shout to better humanity in our own way by turning our loss and pain into purpose. I honor you and your life. I hope for your journey to be filled with joy. I am grateful to walk among you and stand shoulder-to-shoulder with you. What ever this month means to you, however you decide you will add to the collective fight for survival, I applaud you and wish you every success. This touching and sobering mini documentary is aimed at educating the viewer on Ovarian Cancer, the BRCA gene mutation, and the benefits of knowing your family history. OCAZ works with public and medical communities, building bridges that help our constituency. We empower and inspire survivors, offering tools to improve their quality of life. And we serve as advocates to increase funding for research and better treatments. The Ovarian Cancer Alliance of Arizona (OCAZ) is a charitable group of volunteers, survivors, and community leaders. Our vision is to conquer ovarian cancer in Arizona. Our purpose is raising Ovarian Cancer awareness, survivorship, and care. The OCAZ is making a difference in Arizona with our annual Teal Trek Walk! Watch the Video below and check out news and info about the upcoming Teal Trek Walk 2018! New research in mice identifies a compound that significantly improves ovarian cancer survival by targeting stem-like cancer cells. A newly developed state-of-the-art diagnostic tool that is cost-effective and easy to make can detect the presence of cancer in the tiniest drop of blood. Initial trials in humans find that a new drug, tisotumab vedotin, shows significant promise in treating stubborn tumors in several late-stage cancers. During a hysterectomy, a surgeon removes a personâ€™s uterus. Because the surgeon usually leaves part or all of the ovaries intact, it may still be possible to develop ovarian cancer. However, research suggests that any type of hysterectomy helps reduce a personâ€™s risk of ovarian cancer. Learn more here. Most causes of missed or irregular periods are not serious. However, less commonly, a missed period can be a sign of ovarian cancer. Early detection and treatment of this type of cancer can improve a personâ€™s outlook. Learn more here. Knowing the statistics on ovarian cancer can help a person better understand the condition. However, it is important to remember that everyone has a different experience with cancer. Ovarian cancer is rarely detected in its early stages, which makes treatment less effective. A new blood test, however, may become a game-changer. Baby powder manufacturers have recently faced lawsuits that their product, a type of talc, may cause ovarian cancer. Learn about the claims and research here. An analysis of data from two large cohorts totaling 205,498 women sees that regularly taking low-dose aspirin is linked to reduced risk of ovarian cancer. A large study examines the effect of newer combined oral contraceptives on the risk of ovarian cancer among women of reproductive age. Every woman is worth it. Please join our campaign to continue to inform women about this deadly disease by making a contribution to our cause. We are a a 501(c)(3) charitable organization passionate about saving women’s lives. Read more about how you can help and Make a donation today!